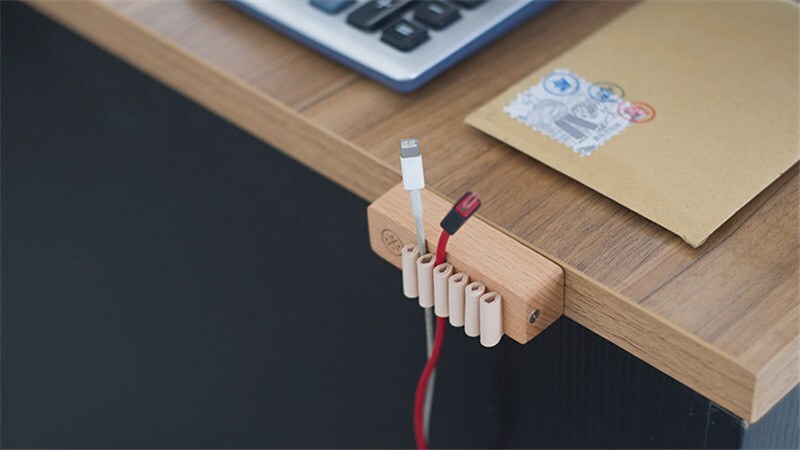 Tidy up your workspace with the Wooden Desktop Cable Organizer. 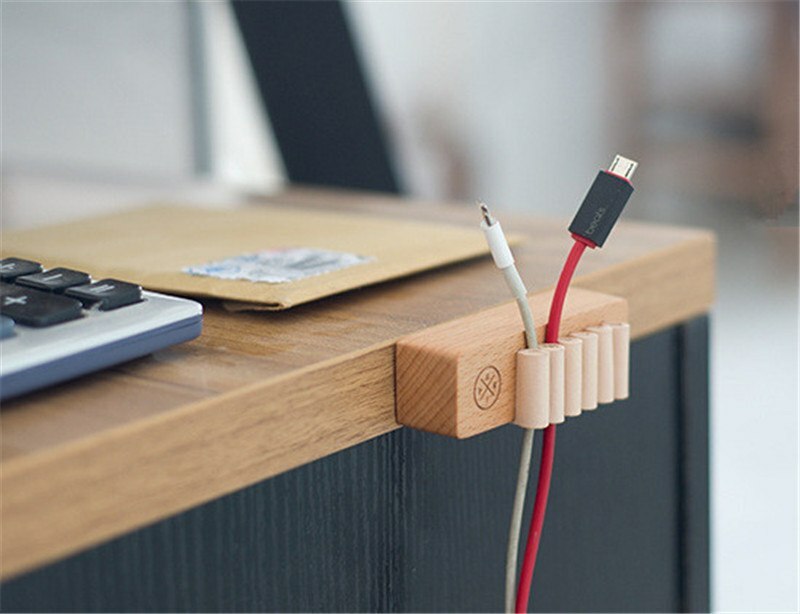 No more untangling cables or any falling into the abyss behind your desk. 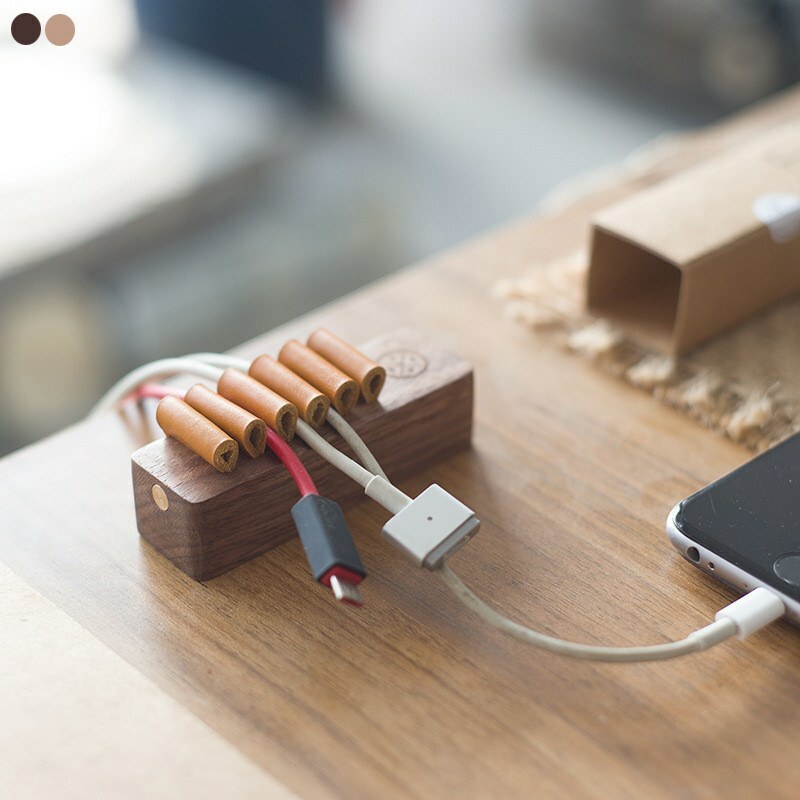 This cable tidy has six bunched leather loops to provide the perfect pressure for gently securing your cables in an easy to reach a place. 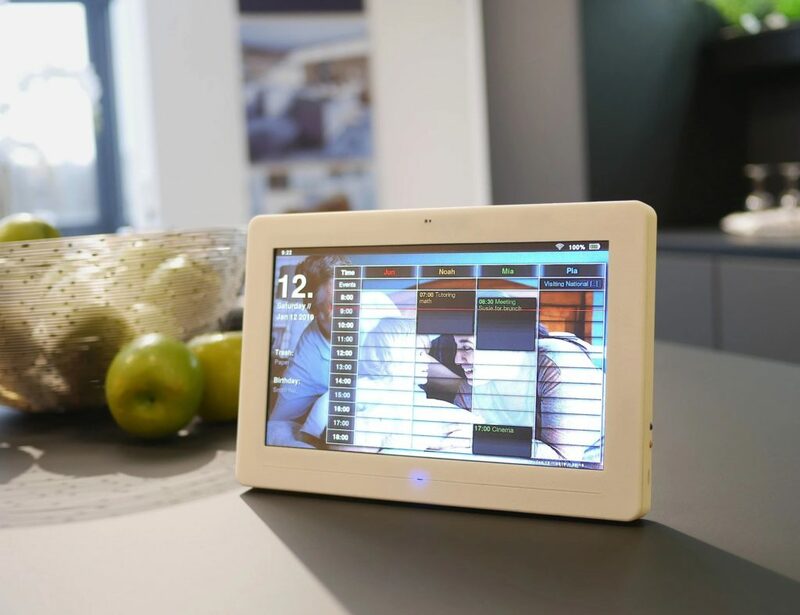 Holding the cables between each loop, the five spaces can easily hold multiple cables, maximizing the convenience. 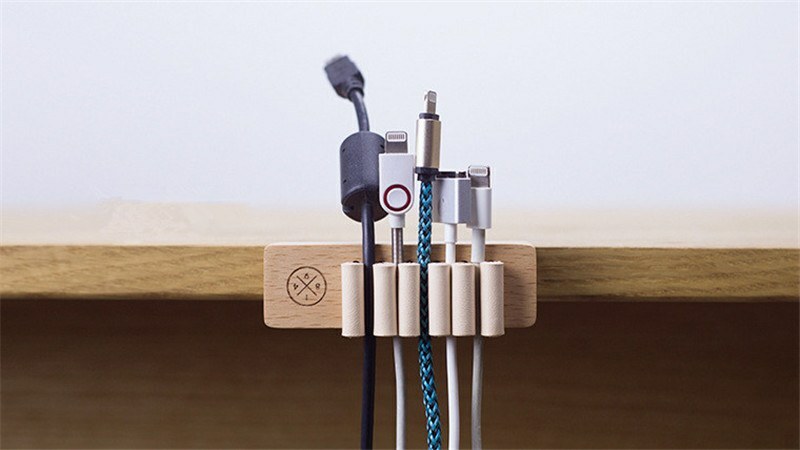 Using all natural materials and available in both beech wood and walnut wood, the Wooden Desktop Cable Management will uniquely contrast with the cables it holds to add a sense of style to your desk. 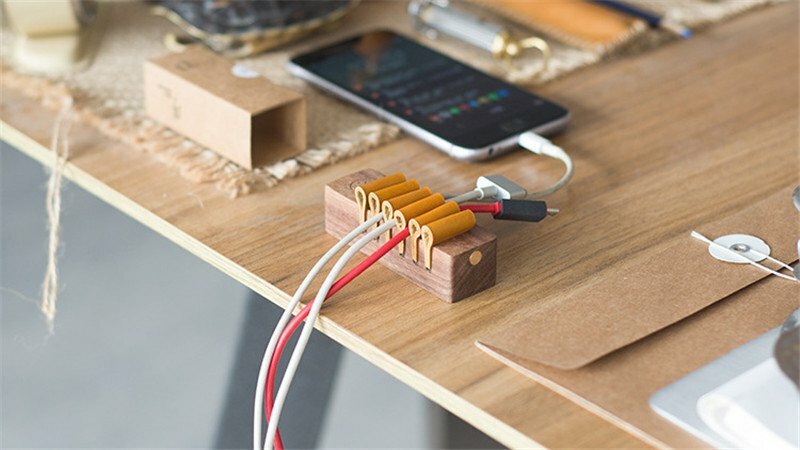 Whether it’s your phone charger, headphones, or laptop power cable, the Wooden Desktop Cable Management will keep them neat and ready to go.